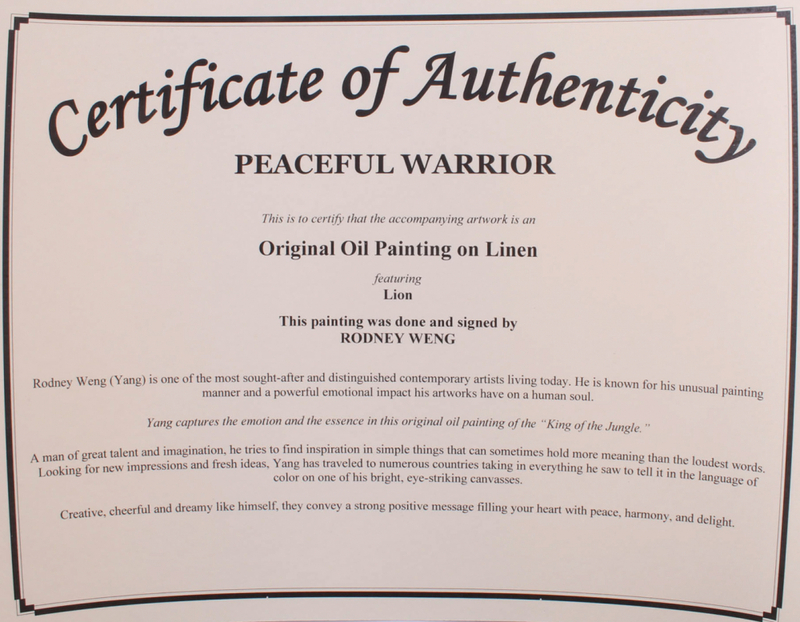 “Peaceful Warrior” 25" x 37" original oil painting on linen hand-signed by Rodney Weng (Yang). Rodney Weng (Yang) is one of the most sought-after and distinguished contemporary artists living today. He is known for his unusual painting manner and a powerful emotional impact his artworks have on a human soul. 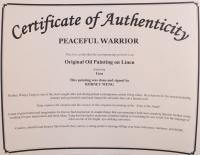 Yang captures the emotion and the essence in this original oil painting of the “Peaceful Warrior”. A man of great talent and imagination, he tries to find inspiration in simple things that can sometimes hold more meaning than the loudest words. 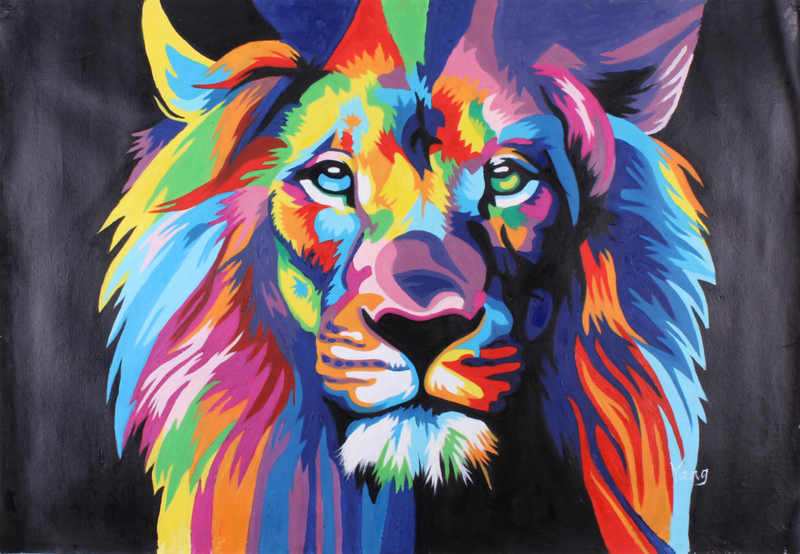 Looking for new impressions and fresh ideas, Yang has traveled to numerous countries taking in everything he saw to tell it in the language of color on one of his bright, eye-striking canvasses. Creative, cheerful and dreamy like himself, they convey a strong positive message filling your heart with peace, harmony, and delight.